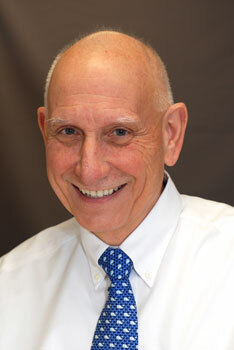 Dr. Tom Mensi has been a part of Dental Associates for over thirty years. He has been named to The Hartford Magazine Best Dentist list for seven consecutive years. Dr. Mensi shares with his staff a passion and commitment to offer all his patients the best care available. His professional time is spent utilizing dental skills that are continuously updated by participation in dental seminars across the country. Dr. Mensi and his staff regularly volunteer to treat the less fortunate at community health clinics and state dental missions. Tom, his wife Laura and their four children have been active in their community with civic, church, youth sports and club organizations. Always involved in some home improvement projects, Dr. Mensi still finds time to work on his golf game and all types of fishing. Recently, the addition of four grandchildren has added a new enjoyment for the Mensi family. Dr. Mensi has been named “Best Dentist” in Hartford Magazine in 2008, 2009, 2010, 2011, 2012, 2013, 2014, 2015, 2016, 2017 and 2018.